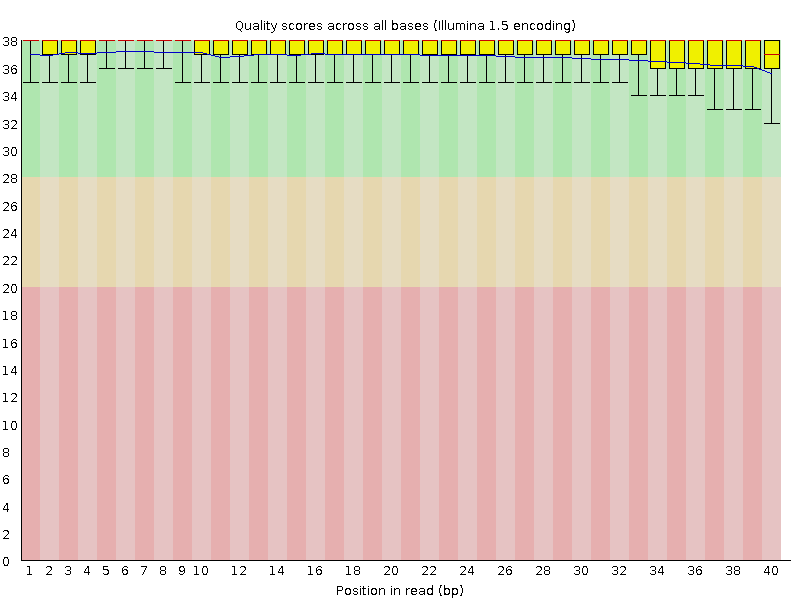 The FastQC software is a popular way to evaluate the quality of high-throughput sequencing reads (e.g. reads from Illumina or PacBio sequencing). This quickstart won’t go into all of the nuances of interpreting these results (see instead the official FastQC Documentation ). Rather, we will get you using the tool right away in the Discovery Environment. Login to the Discovery Environment. Click FastQC 0.11.5 (multi-file) to open the App, or click on Apps in the DE workspace and search for and run FastQC 0.11.5. Under “Analysis Name” leave the defaults or make any desired notes. Under “Select Input data” for ‘Input file, click Browse, then navigate to and select one or more FastQ files to analyze; Then click OK.
To use our example data, navigate to Community Data > cyverse_training > quickstarts > fastqc and select the SRR1028781.fastq file. Click Launch Analysis. You will receive a notification and may close the Apps window. Click on Analyses from the DE workspace and monitor the status of your submitted job (You may have to click refresh to view updated status). In the Analysis console, once your status appears as ‘Completed,’ click on the name of your analysis to navigate you to the results. Download the result files (in zip format) using the simple download, unzip the files and open the results in a web browser. Here are some of the most important reports to consider in downstream cleaning steps. Having a fail on these reports would require careful evaluation of whether or not the data can be sufficiently cleaned to be useful. These tips may not apply in every situation, you will have to interpret or seek advice on your own results. This report shows the average quality score across the length of all reads. Poor quality at the beginning or end of the reads may suggest settings for trimming. This report indicates how individual reads of a given quality score are distributed in your sequence file. Ideally, most reads will have a high average quality score. Populations of lower average-scored reads can be removed by downstream filtering. This report indicates the presence of sequencing adapters. If adapters are detected, you will need to remove them in downstream cleaning. Following your report, you may wish to apply one of several tools in the Discovery Environment to, for example, remove sequencing adaptors and trim low quality portions of reads. The Trimmomatic-programmable-0.33 app is suggested. See the original FastQC Documentation for all the instructions on how to use this tool and interpret reports. © Copyright 2017, CyVerse. Revision 20296c88.